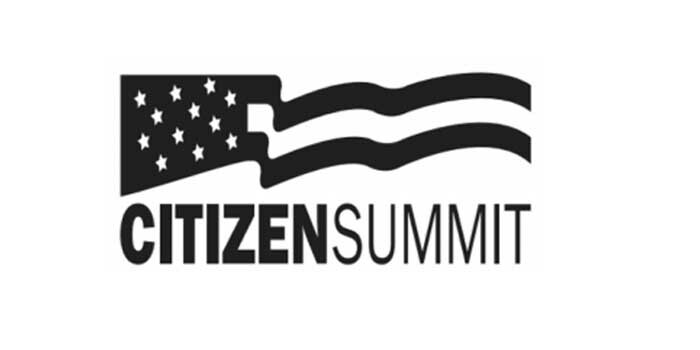 After Utah’s second Citizen Summit in January, 2018, an exploratory committee has been formed toward putting on a national Citizen Summit — A Convention on Respect Collaboration and Solutions — in the fall of 2019 in Salt Lake City, UT with other venues around the country .The narratives of the two party conventions could be stated as “elect me and my party and we’ll “fix it” and that of the Citizen Summit, “it will take citizens and leaders from all sides to ‘fix it’”. One way of looking at the division in the country is between those who want to come together with civility and respect, to listen and learn, to help resolve the great challenges we face at all levels of society and those who don’t or aren’t yet ready. • support bridge leaders and citizens working across our differences for mutual understanding and solutions. 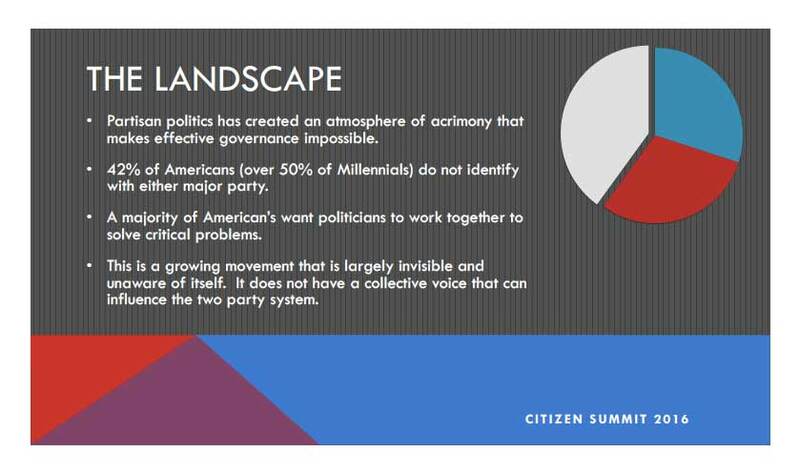 On November 12 2016, in partnership with Mediators Foundation’s 2016 Citizen Summit efforts, Salt Lake City and the state of Utah, hosted a Utah Citizen Summit — a convening of leaders from various sectors and participants from various local constituencies, including the Democratic mayor of Salt Lake Country and former mayor of Salt Lake City, The Republican majority leader of the Utah State Summit, a top aid the Republican Secretary of State and the Democratic prosecutor of Salt Lake City. It was lived streamed across the country to those want to work together for a stronger, more innovative and collaborative America. Other cities are currently being invited to host their own gatherings. It was also recorded. 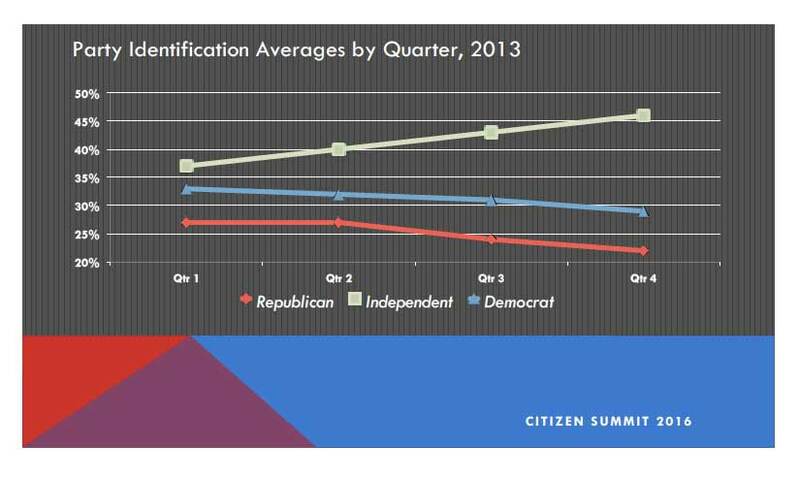 The Utah Citizen Summit unequivocally demonstrated that there is an alternative to hyper-partisan politics and Americans across the divides are willing and wanting to come together after a highly contentious election season. used the latest collaboration software and content aggregation tools to provide a template for a new type of technologically empowered participatory democracy. We at Mediators are extremely grateful to John Kesler, served as Communities Editor of National Civic Review, the oldest and most respected journal in the United States addressing local civic and democratic practices. John founded and chairs the Salt Lake Civil Network and the Global Civil Network, which played a major role in putting on the event, and he was a leader in the founding of The Utah Civil and Compassionate Communities Initiative.